Catana offers precision, power and performance for the budget minded angler. Propulsion Line Management system offers trouble free casting for a stress free day on the water. Lighter than the previous model, users will also experience less fatigue during fishing. Nexave offers Shimano quality at an extremely affordable price. 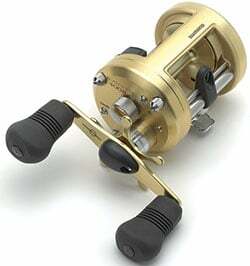 A comfortable new body design and attractive cosmetics add to the overall appeal of this versatile series of reels. The new Sedona FI is the first in Shimano's lower end price point models to include cold forged HAGANE gears. The drag power has also been upgraded and the gear ratios increased, meaning the series has models for everything from light freshwater to heavier offshore species in the larger models. Additionally, weight has been reduced significantly across all sizes to reduce fatigue during long days of casting or jigging.